You are here: Home › Extras › Where To Buy? 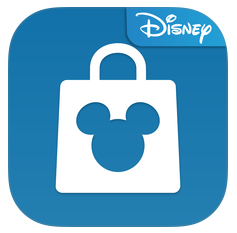 Disney Parks & Resorts now has a free mobile app for iOS and Android that lets you shop for most items in the Walt Disney World resort and have them shipped directly to your house. Most MagicBands and accessories are shippable, including MagicBandits, MagicSliders, MagicBand Keepers, and some Limited Release items. shopDisney.com currently sells solid color MagicBands and a handful of graphic MagicBands. Some MagicBands sold here may be different than the ones available in the app listed above, so be sure to check both! If you’re looking for rare or sold out MagicBands, eBay is where you want to go. You’ll find MagicBands that weren’t available to the public, many sold out Limited Editions, and some other rarities and hard to find items. You’ll be able to find Star Wars, Food & Wine, Frozen, and many other MagicBands there. Be prepared to pay a premium though. Where do you buy displays and stands? For MagicBand stands, try Amazon.com . They have a great selection of watch stands and displays that work perfectly for MagicBands. 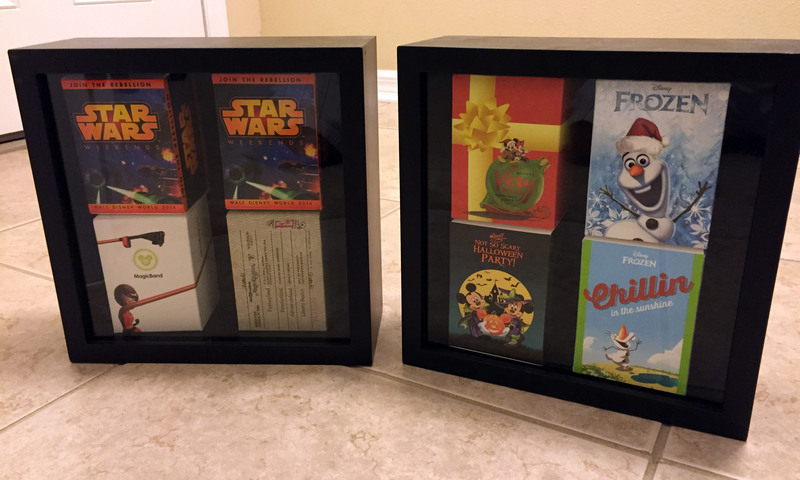 Michael’s craft supply store is the best place I’ve found for shadow boxes and shelves for MagicBand displays and boxes. Browse through their selection and I’m sure you’ll find something that works for you. 73 Responses to "Where To Buy?" Any word on if there will be a Figment Magic Band? Nothing yet. As soon as I know any details, they will get posted here right away. There is one right now at the Disney shop online. there is one in the disney store. Epcot Flower and Garden Band has figment on it. Any word if they will make Snow White and the 7 dwarf ones? Is there anywhere you can go to find out which magicbands are available at specific locations at WDW? Sometimes Cast Members at retail locations in the parks can look it up on their systems. You can now use the Shop Disney Parks app for iOS and Android to search for MagicBands and see which locations they are available for purchase. i wasn’t able to go to the Star Wars weekend, but I’m going at the end of August 2015, are there any LE magicbands that I can purchase that light up? color them with a glow in the dark sharpie, let dry, then top coat with clear nail polish! Can you get the Disney Oceaneer Band ahead of a cruise or are they only sold onboard a cruise? They are not sold anywhere, even on the cruise. They are only given to children checked into the kids clubs on the cruise, and must be returned upon leaving the ship. I’m assuming you’re asking because you want one for exclusive ship-only Disney Infinity 3.0 content? I am looking for one for the purpose of Disney infinity 3.0 unlocks. If you can’t take the band off the ship then how do you get the unlocks? Buy one on eBay…. there are plenty on there. Kids can take them home. Where is the best place to buy them, with the biggest choice please? Try the Emporium at Magic Kingdom or Camera Center in Epcot. They have great selections. Star Wars may only be in Mickey’s of Hollywood in Hollywood Studios. According to the Shop Disney Parks App, most of the currently available Open Edition Graphic MagicBands are sold at Mickey’s Gift Station located at Disney’s Ticket and Transportation Center. Love this new app. Will come in handy when i get to the resort in October. We are going to Disney in Jan 2016. I am looking for a belle magic band. Do you know where I could buy one? Thanks. Yes, they should have them at most stores that sell MagicBands, which is throughout the entire resort. It’s a yellow one. If you can’t find one, ask a Cast Member at the counter if they can look it up for you. You can also check the Shop Disney Parks mobile app and it will show you the locations where it’s available. Hi Ethan – about to get annual passes and love looking at all the previous bands! Curious if you know whether the Disney Outlet at Vineland Ave consistently carries Magic Bands? Possibly heading there tomorrow, would love to avoid driving into Disney Springs if possible. In need of something to wrap up for the kids to open on Christmas so they know they are getting passes! Yes, they do have some from time to time, but there is no guarantee as to which ones they will have in stock. We are from the UK & visiting WDW in July, but staying off site. We have already purchased our tickets with Memory Maker so will need Magic Bands when we get there for in ride videos etc. There are some super Magic Bands through the Disney official website that can be purchased in advance, but they don’t offer international shipping. Do you know anyway round this to allow us to buy in advance? Many thanks. Nope, sorry. eBay is your best bet for international buyers. So far there is not, sorry! Going to Disney in 3 weeks from today. If I order the magic bands through the Disney Parks app will they arrive in time? If you order today, then yes, you should get them by then. im going to wdw in a april 16. Im stayng in a wdw hotel and id like to know haw to get a purple magic band. And anothe thing, do you know about the measure of the strap? bacause i dont wanna buy a bitbelt so id like to know if the tiny belt of my wirst watch will fit in it. You will need to buy it online if you want it before you arrive. Either the Shop Disney Parks app, Disney Store, or eBay. I am not sure about the length of the strap, I will let you know when I can measure one. Can you buy the (plain) solid colour bands everywhere that does the ones that has designs on them? Sorry I meant to add – the place that does the customisation in tomorrowland, my daughter wants to get one of those, but I am just wanting a plain one. We are staying off site. Will the purple ones be available at the parks? I noticed that at the Disney store online the only solid color one available is the purple one. Will the bands for sale on Ebay work or will they be used? What is the reasoning behind not shipping them internationally? It depends on the seller on eBay. The band must be set to “Link It Later” on eBay… make sure you ask the seller if they are or not. “Deactivated” does NOT mean it can be linked. Make sure the eBay seller knows the difference. First, Disney has not gone through the process of getting electronic approval for the devices beyond the USA (FCC) and Canada (IC). It’s an expensive and time consuming process that has no real value if the devices are only used in the USA. So they can’t ship to countries that haven’t been approved. Secondly, shipping internationally is very expensive. Disney saves a lot of money by waiting for folks from overseas to actually arrive in the USA before giving them bands. What if someone from Russia cancels their trip right before they are set to arrive? Or what if someone from China is denied entry into the USA by Customs? Then shipping those bands around the world would be a huge waste of money. I’m sure there are more reasons, but those are the main two. Are the band’s the solid color bands still $12.99 in the parks like they are online? Yes, in the Co-Op Marketplace at Disney Springs there is an On Demand station. Do you know if the On Demand in Disney Springs has a phone number to call and ask if they have a certain design? – Sorry I posted this on another one of you comment section but now I can’t figure how to get back to it. I don’t know to be honest, sorry! Usually guests aren’t allowed to call specific Disney stores directly within WDW. Which design are you curious to see if they have it? I may know. They do have Daisy Duck still. Not sure about Minnie Mouse yet. I am planning on proposing to my girlfirend this September at WDW. I have seen the magic band proposal on this website and was wondering if you would be able to let me know how to purchase/create such a thing! 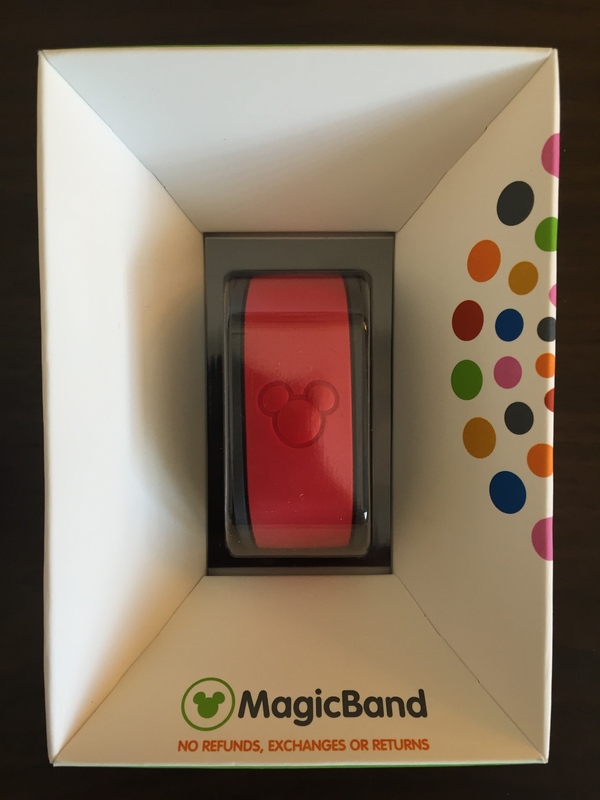 What is a fair price for a 2016 VIP magic band? It’s worth $500 or more in my opinion. Does it being deactivated change that at all? Yes… maybe $100 less or so. It’s still a nearly impossible band to find. Yeah I really wanna buy it but I just wish it was unlinked. I am going to DW in March, do you recommend buying Magic Bands in advance? We arrive late at night and plan to be at rope drop in the morning. How time consuming is buying the bands once there and linking them to everything? If you plan to buy them anyway, get them in advance if you can. It will save you time figuring it all out. You’ll need to find them on eBay. They were never made available for purchase. I’m heading to WDW in about 3 weeks. There is a limited edition Epcot magic band being released 4 days before I get down there that I really want. Is there any way I can call and buy one from a store and have my resort hold it for me? Since there is only 3500 being made I feel like they will be gone by the time I get there. Any ideas? Hi Mike, I actually don’t think all 3500 will sell out that quickly. You should be fine. But no, resorts cannot hold bands for you like that, sorry! Yes, they can be bought at Pin Traders located on the side by Rainforest Cafe. 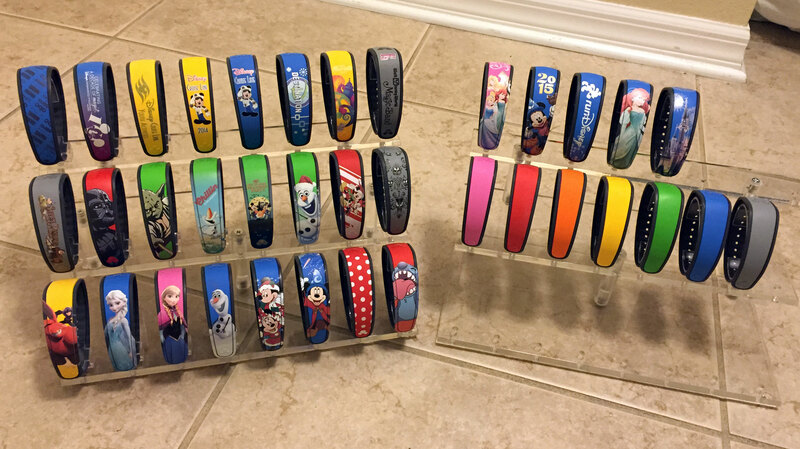 Can you buy magic bands at Disney outlets or retail locations? There is an outlet in Orlando that sells the remaining stock of bands Disney is discontinuing or that haven’t sold out at the parks. Is there a way of checking the linked/unlinked status of a magicband without going through the linking process on MDE? Or is it safe to just enter the ID number on MDE to check it and NOT assign the band to particular person?